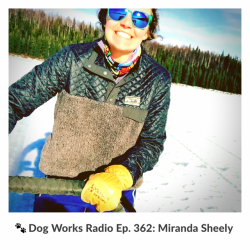 On this episode, host Robert Forto interviews up-and-coming musher, Miranda Sheely on Dog Works Radio. Sheely is currently a student at the University of Alaska and is a skier at the school. She will be taking the winter expedition course this march which will cover 180 miles in the Alaskan Backcountry traveling by dog sled and fat tire bikes.